I assume they is being used here as a gender-neutral singular pronoun, since the use of life rather than lives indicates there’s only one person involved. They had spent all their life trying to prevent the prophecy from coming true. 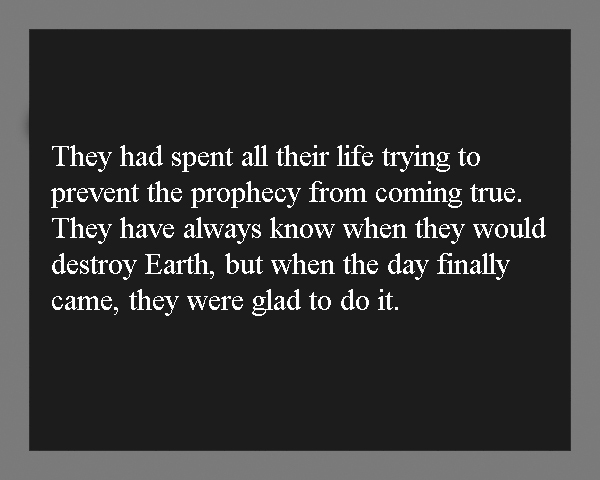 They always knew when they would destroy Earth, but when the day finally came, they were glad to do it. This entry was posted in Writing Glitches. Bookmark the permalink.